This is actually WIPs Thursday since it is … well, Thursday. “One of those days” turned into One of Those Weeks. For whatever reason, J has been up super early and not napping. By about 4pm, he is a total write off! I feel badly for the little dude and I can see that we are on the brink of something. We have started toilet training but that was a little derailed last week due to my plague. Now, however, he has been refusing his diaper and I can see the wheels turning to decide if he wants to hop on the “toooo” (his word for toilet) or not. 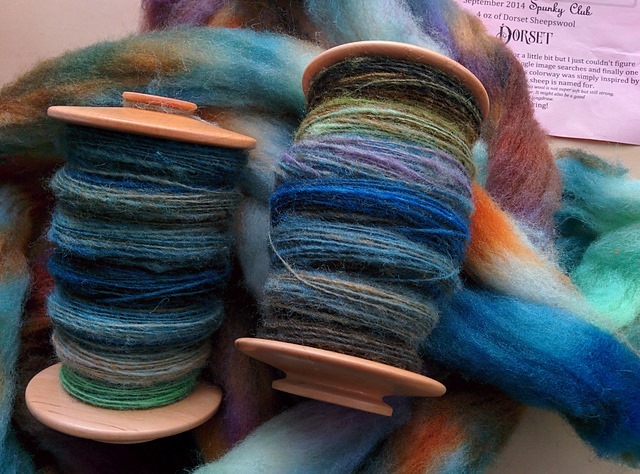 During Spinzilla, I had started this September 2014 Spunky Eclectic Club Dorset. While I was happy with the results, I found long backwards draw awkward and didn’t relish the idea of having to repeat it for another 2oz to finish the braid. A few weeks ago, however, I found Jacey Bogg’s Craftsy class “Worsted to Woolen”. What are you working on this week? Have you learned a new skill you are enjoying? 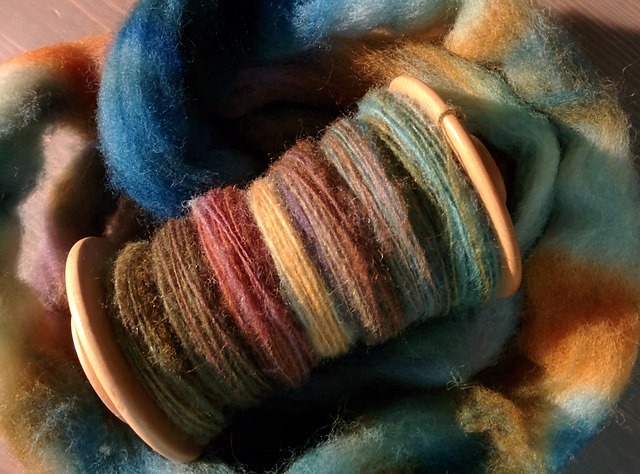 Next Post Dorset, woollen style. Hope your week is better. 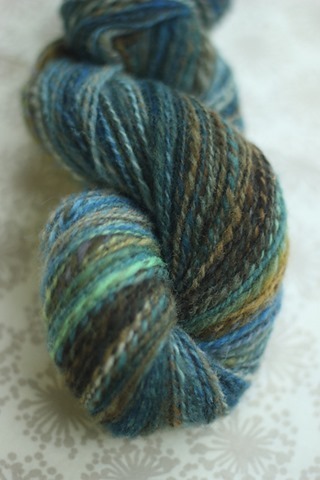 I love the skein of blues!!! Gorgeous.